Are there any snoring remedies that really work? Most are just snake oil, doctors say, but there are a few that can truly help. We compared user reviews, clinical trials and the opinions of medical experts to find out which snoring solutions are most likely to help you – and anyone else who shares your bedroom – sleep peacefully. 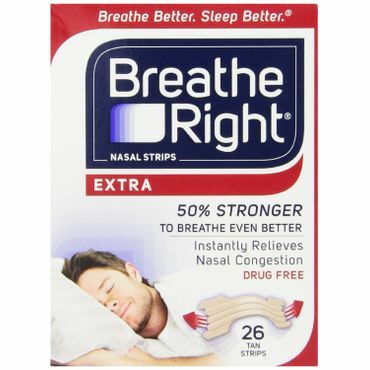 If your snoring starts in your nose, as it does for an estimated 15 to 20 percent of snorers, Breathe Right Nasal Strips might help. In fact, they're the only over-the-counter snoring remedy that most sleep doctors recommend at all. These relatively cheap adhesive strips, which help open up your airway by keeping your nostrils open, are the top-rated snoring remedy among snorers themselves, too. Still, if your snoring isn't nose-related, Breathe Right won't help. Over-the-counter anti-snoring mouthpieces prove uncomfortable (and not always effective) in tests -- but a custom-fitted mouthpiece from a dentist really works. 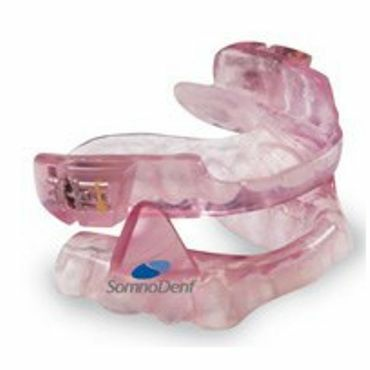 Shaped like a football-player's mouth guard, a mouthpiece usually works by nudging your jaw forward, opening your airway. A whopping 80 to 90 percent of patients get snoring relief from a custom-fitted mouthpiece, experts say. The only catch: without a diagnosis of sleep apnea, your insurance probably won't cover the cost. Which snoring remedies actually work? Snoring is a problem that's as common as it is annoying. The American Academy of Sleep Medicine estimates that 40 percent of men and 24 percent of women in the US are chronic snorers. With such a huge customer base – including not just the snorers but also those who have to live with the noise – it's no surprise that there are hundreds of over-the-counter stop-snoring remedies on the market. These products range from the reasonable, such as throat sprays and nasal strips, to the dubious, such as electroshock bracelets and magnets. And that's not counting the variety of medical appliances and techniques required to control snoring caused by obstructive sleep apnea (OSA). Treating OSA often requires more invasive (and expensive) methods, including Continuous Positive Airway Pressure (CPAP) ventilators and surgery on the soft tissues of the palate. Stop smoking -- and avoid secondhand smoke. When you breathe cigarette smoke, your nose and throat lining get irritated and swell up – which leads to snoring. "The likelihood of snoring increases as more cigarettes are smoked per day because the congestion increases with each cigarette," says the British Snoring and Sleep Apnoea Association. Children of smokers are more likely to snore than their peers, too. If you can't seem to quit, even avoiding smoking for four hours before bedtime can help, the association says. Lose weight. "If you gain weight around your neck, it squeezes the internal diameter of the throat, making it more likely to collapse during sleep, triggering snoring," otolaryngologist and snoring expert Daniel Slaughter tells WebMD.com. However, not all snorers are overweight, so this isn't a solution for everyone. Quit drinking near bedtime. Alcohol relaxes the muscles of the throat that normally hold the airway open during sleep. To avoid this problem, doctors recommend avoiding alcohol for anywhere from two to five hours before bedtime, with four hours being the most common suggestion. This is the only strategy that works for Rory Clements of the Daily Mail (UK) after he tries 10 over-the-counter and at-home snoring remedies with no success. When he finally skips his 8 pm glass of wine, he enjoys "an excellent night's sleep and no snoring." Sleep on your side. When you sleep on your back, your tongue and soft palate can fall back into your throat, narrowing your airway and making you snore. If you tend to roll onto your back during sleep even when you start out on your side, doctors recommend a simple trick: attach a tennis ball to the back of your pajama top. You can tape the ball to the back of your pajamas, sew the ball into the pocket of a T-shirt that you then wear backwards, or slip it into a sock that you pin to the back of your shirt. Wearing one of these get-ups makes it uncomfortable to roll onto your back, guiding you back to a side-sleeping position. Doctors say these should be your first stop-snoring steps. They're far more likely to work than anything you can buy over the counter, and they don't cost a dime. However, if these home remedies don't work, there are a couple of other products that might give you (and those who share your bedroom) some relief. If your snoring is caused by nasal congestion or a deviated septum, you might find nasal strips or nasal dilators helpful. These products help hold the nostrils open so you can breathe more easily. Single-use nasal strips that fit over the bridge of the nose cost about $12 for a month's supply. Reusable nasal dilators that tuck inside the nostrils to hold them open cost $12 to $17 apiece, but they don't work for as many people. If the snoring originates in your mouth and throat, you might have some luck with a mouthpiece that adjusts the position of your jaw to keep the airway open. However, over-the-counter mouthpieces, which range from $10 to $100 in price, don't work for most people and can be uncomfortable. A custom-fitted mouthpiece made by a dentist is much more likely to work, but it will set you back $1,500 to $3,000, which may or may not be covered by insurance. One remedy that gets some support from doctors is changing your pillow. Most sleep experts say special anti-snoring pillows aren‘t worth the money; they may relieve nasal snoring by propping your head up, but sleeping in this position is likely to cause back or neck pain. However, Slaughter says a full-body pillow can be useful because it helps you stay on your side while you sleep. To find a comfortable body pillow, see our report on pillows. We had trouble finding reliable reviews for anti-snoring remedies. Most reliable consumer sites such as ConsumerReports.org don't test them, though the British version of Good Housekeeping offers some insight. Discussions of snoring in medical sources generally recommend against using any over-the-counter product to treat it. However, medical sources such as the Mayo Clinic, the American Academy of Sleep Medicine, and the British Snoring and Sleep Apnoea Association -- as well as interviews with sleep experts in the New York Times and the Huffington Post – offer some support for the use of nasal strips, nasal dilators, and mouthpieces. We also consulted reviews at Amazon.com and Drugstore.com to find out which anti-snoring remedies work are most likely to be effective, convenient, and comfortable to use.